These days the production of the added value is expected basically from knowledge itself. 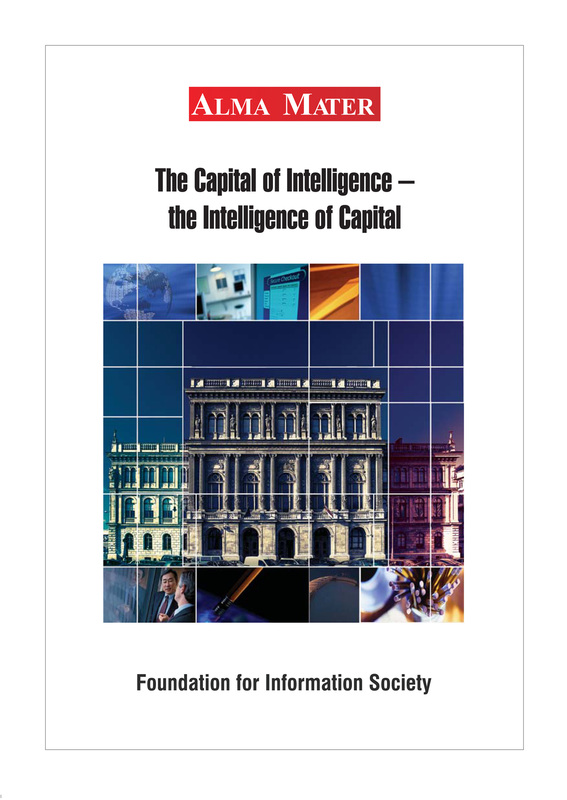 Therefore one of the biggest challenge of the era is the handling of knowledge capital as well as its successful management. In comparison with the more traditional resources, knowledge is one that is difficult to define. It is so because – among other things – according to statistics, the 80% of genuine value-creating corporate knowledge is in most cases in the head of organizational participants. Furthermore, unlike traditional resources knowledge does not decrease during its use, what is more it can be improved. In this sense it’s an ‘unlimited’ resource! Yet, the who and the when are as important questions as to ask how quickly one installs it to his business activities utilizing it, and by doing so gains real competitive advantage. The avid interest towards those methods and business models that provide quick and effective application of knowledge capital can be explained with that. In the present essay I deal with the experience accumulated during a 5-year nation-wide research by the Subcommittee of Knowledge Management of the Committee of Management and Organization Sciences at the Hungarian Academy of Sciences (MTA VSZB); as well as concluded from statistics and experience from application development and corporal application. I also outlined a few characteristics of Hungarian knowledge management generations – and solutions as well as further ideas for their exploration. The challenges assigned to the interpretation of internal values, the management also face difficulties when they try to properly measure and monitor the value drivers of their companies. There were two turning points of the intellectual capital management recently, which have fundamental influence on how businessmen and related professionals view the interpretation of company performance. Science and efficient management begin with measuring. As we will show, there are some difficulties in measuring intangibles, which is the main reason why their exact measurement is only in an initial stage. Although a large number of methodologies have been developed, there is not one widely accepted methodology used to evaluate the separate, specific elements of intangibles. The evolutionary model of modern societies that promotes growth is built on supernatural and superhuman powers. Economic growth cannot be sustained on a planet whose resources are limited, therefore the social principle leads humankind into such a deep global crisis that requires the reassessment of the essence of civilisation. The only way to solve the crisis is a paradigm shift, we would need to accomplish a qualitative development and transformation, and fundamentally change the interaction between social and economic systems and their physical and spiritual relations to nature. Our knowledge has to respect every forms of life, and serve creative cooperation. We would need to use our knowledge in an intelligent way, we would need to perceive intelligent knowledge whose essence is that we are able to recognise social, economic and environmental changes, the direction of the Universe and the Earth’s evolution and efficiently adapt to all of them. Information technology often plays a crucial role in knowledge management projects and in some cases it acts as a catalyst. We are overloaded with different technologies and in some cases it is difficult to tell how we can benefit from a certain popular solution, e.g. how we can utilize semantic web technologies. The objectives of this paper are to give an overview about the technologies supporting knowledge management and to propose a framework for the categorization of enabling technologies. We look through the layers of the framework and give some hints for the selection of the proper technology in a certain situation. Knowledge plays an essential role in the knowledge society. The emergence of the knowledge based economy; the globalization and the competition have impacts on organizational growth, sustainability and survival. Organizations have begun to re-evaluate their products and services, even their organizational culture to maintain their competitiveness in the global markets. The aim of the research carried out by the Strategic Management Research Group at the University of Pannonia was to study the relationships and influences of cultural capital in different respects. In this paper, we explore the characteristic features of national and organisational cultures’ impacts on knowledge management and competitiveness. Following our theoretical exploration of culture, we report the findings of two researches, which have revealed the relationship between knowledge management, cultural characteristics, and competitiveness. Finally, we present the implications of our argument by focusing on the links between knowledge management and culture. We do this in order to show, that cultural characteristics are not only determinant factors of competitiveness but also of knowledge management, which is a key factor of competitiveness. Hungary, as a new member state of the European Union faces many challenges with respect to sustaining her growth and improving her competitiveness. Activities with long-term returns, notably R&D and innovation activities, require a stable, or at least, predictable environment. OECD Review of Innovation Policy regarding Hungary reviews the strengths and weaknesses of Hungary’s innovation system and recommends steps the government could take to increase the impact of innovation on the country’s future prosperity. The purpose of this paper is to introduce the R&D activity of the Regional University Centre of Excellence based on the complex utilisation of innovative, natural and economic resources and opportunities provided by the environmental industry at Szent István University. Everybody who has ever dealt with questions of knowledge management has faced problems of knowledge sharing, which are the most difficult questions and steps during the creation of a knowledge management system. With whom shall we share our knowledge and with whom not? When, why yes or not? We have carried out some examinations about this problem. We wanted to know how people of different age groups behave in different situations needing knowledge sharing. Whether adults or children stick to their knowledge more and why? 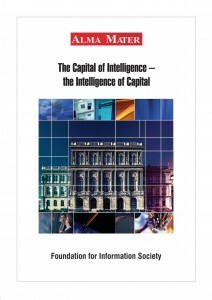 Intellectual capital, or the ability to utilize knowledge resources, is largely recognized by scholars and practitioners to be the fundamental source and driver of an organization’s competitive advantage, an indispensable ingredient for the development of dynamic core competencies, as well as a determinant factor for an organization’s capability to innovate. Recently, several researchers have begun to speak about IC not only referring to business organizations but also to other contexts. This paper is based on a common research with the University of Genova, which investigates the ability of local food producers to exploit the elements of regional IC embedded in local food systems in order to gain a competitive advantage. This is a personal essay on the relationship of the global shift we are taking part in and its relevance to knowledge generation and its methods we have already created so that we can place ourselves as companies and Her individuals, Her teams and communities in a creative and interactive cauldron of co-creation, that naturally and continuously produces ideas for innovation, renewal and self-transcendence just like all other living organisms. We will touch on some insights of the Old Traditions, inspiring outcomes of New Science and a collective effort of several communities of practice to design living communication methods to facilitate our organisations into this direction of co-creation. Out investigation is in connection with knowledge management but we would like to present another aspect of this field. We have investigated the general willingness of knowledge transfer among young people and employees but not from the aspect of companies. The philosophy of our research was that we did not investigate the processes of knowledge transfer among the walls of a company, however, we looked for the basic issue of knowledge management: whether people are ready to share their knowledge and if they are ready to do so, on what conditions and how the efficiency of knowledge transfer can be improved. When we conducted our research, we looked for the answers of two questions: on the one hand, we wanted to know how cultural factors can influence the effectiveness of knowledge transfer, on the other hand, we looked for the impact of age, i.e. how one’s age changes helpfulness in the respect of knowledge transfer. We investigated the influence of cultural elements through two neighbouring countries: Hungary and Slovakia. We created two samples which included 600-600 people in each country to investigate the difference of cultural environment in the field of knowledge transfer. Our other assumption was that not only the cultural items but age can essentially influence knowledge transfer, too. To investigate this supposition, we aimed at the young age-class: within it we identified 5 groups and we compared them. This paper introduces a concept solution which was developed to be an appropriate tool for handling number of problems regarding EU-wide workforce mobility. This Internet-based system could serve as European Qualification and Skills Passport containing the professional educational achievements and referenced experiences of each passport ‘holder’. On the other hand, this system could be a fundamental part of monitoring the knowledge flow in a given industry. These days it is a fact that a country’s competitiveness is determined not only by economic factors, but e.g. the extent to which the country is livable or open, kind of daily and historical culture it has, the habit of people living there and the sustainability of environment. Education has a highly important role in maintaining and enforcing competitiveness. It has become a key competence both in the European Union and in several developed countries since knowledge is evidently the source of long-term competitiveness and competitive advantage. A key employability determinant is qualification. That is why life-long learning and training are substantial for competitiveness and economic growth. Today learning is truly a life-long process, which in most cases creates the conditions of adaptability to the endlessly changing environment. ELearning ceased to be a novelty in Hungary. It is a buzzword, there are conferences, handbooks on eLearning. The question is though whether we only talk about eLearning, or it is really being used. Based on EU sources, we try to get a bigger picture of how others perceive the situation of Hungarian eLearning. First we take a look at the eLearning hype cycle, then we define Hungary’s e-readiness by the Economist Intelligence Unit. The European Union supported some projects and innstitutions namely eInclusion@EU, eUser, EDEN, MegaTrends, HELIOS and IPTS, who also have important findings on the issue. In the present paper, we examine the different ways of knowledge sharing in the contemporary business environment. In order to do this, we need to divorce R from D in R&D. For the purpose of this paper we distinguish four types of knowledge and correspondingly we introduce four metaphors of knowledge sharing: the four knowledge restaurants. In buffets ready-made knowledge is offered for self-service; there are restaurants in which the knowledge broker fulfils the role of the waiter offering a la carte menus; in some very expensive restaurants, we can try what is recommended by the chef; finally, we sometimes make our own coffee in the coffee room and, obviously, have a chat along. The knowledge of digital reading is wide-spreading nowadays. Better part of the students and teachers in the trainings of adults has the knowledge they need and necessary to the e-learning. This knowledge is about using the computer and apply internet. However, some kind of community forums must established for a wide range of the knowledge of digital writing (beside learning in special courses). These forums can help to exchange the information between the teachers, students, researchers and managers who are interested in using Info Communication Technology (ICT). We bring into being a private pilot Internet portal to show this possibility in the practice. The name of the test-portal is E-TANÁR – E-TEACHER. We started to work out the curriculum of a distance course. Social networks in the era of network community portals are self-evident. However our knowledge of how networks work, and how network science can be used for creating better network communication is not self-evident. This study aims at finding our biological origins of thinking in networks, and the way networking mechanism sets our personal learning process, and how network phenomena formulate our behaviour and learning in groups, in organizations and between organizations. This paper aims to be interdisciplinary with the weakness of superficiality of a short interdisciplinary work – it itself networks the following sciences: mathematics, neural biology, cognitive psychology, pedagogy, social psychology, psychiatry, sociology and management sciences. The question which gave the starting point of our research and is highlighted in this study was what kind of attitudes Hungarian small and medium-size enterprises and large companies have about teamwork. Whether there are any common features in these approaches of different segments? Our questions are based on a fundamental idea that by now the time of individual heroes has passed. Nowadays organizational competition and reaching and keeping success are based on employees, their cooperation and of course on common use of common knowledge. We targeted local economic actors and analysed the data in this research. Hypotheses were set up from two sides. After review of theories the result of this research was analysed by own approximation with simple descriptive statistic method. Moreover with SPSS 15.0 program we discovered connections. Similarly to a shift in the business world towards knowledge-based services, we can observe a growing knowledge demand in the activities of nonprofit organizations. Based on empirical research, this paper examines the knowledge processes in a way which corresponds to the features of nonprofit organizations, and compares those for-profit and primarily public serving non-profit organizations, which provide knowledge-intensive services. Knowledge processes are analyzed from two perspectives: as internal and external knowledge processes.